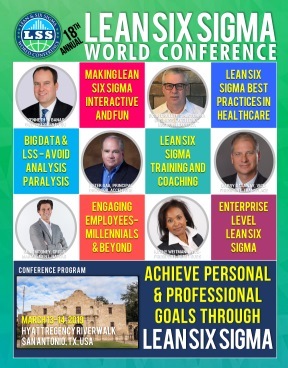 Lean Six Sigma World Conference - Nothing is More Important than a Happy Customer! Crayola began the Lean Six Sigma journey in 2000, focusing on the application of Lean. Thanks to the leadership of Mr. Peter Ruggiero, Certified Six Sigma Green Belt and Executive V.P. of Worldwide Operations and Information Technology (IT) Crayola has embraced Six Sigma creating a blended Lean Six Sigma Program. The Voice of the Customer should be the foundation for any Lean Six Sigma project. Improving Customer Satisfaction should be at the top of every successful company’s wish list. Crayola is not only focused on improving customer satisfaction for the end consumer but also providing top-notch service to our strategic retail partners. When the retailer's expectations change from “nice to have” to “must haves”, this creates new targets for process improvements. Crayola leveraged their Lean Six Sigma tools and structured problem solving to map out and measure the current processes and the gaps between current performance and new targets. The next step was to pilot process changes and measure results with the focus on achieving the new targets. Benefits from this project include reduced lost sales, reduced chargebacks. Improved service levels and, most importantly, happy business partners.